Stream anime episodes online for free, Watch One piece Episode 172 English version online and free episodes. 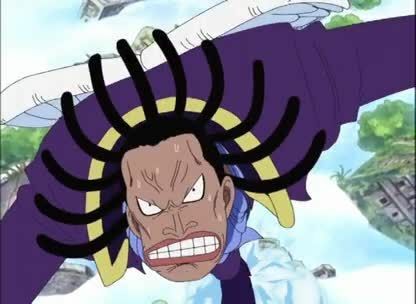 Anime Episode guide One piece Episode 172 English dubbed The Ordeal of Swamp! Chopper vs Priest Gedatsu! Chopper is attacked by Gedatsu, who turns out to be a complete moron, and eventually defeats him, sending him plummeting to the Blue Sea. Conis and Pagaya help Aisa, and head to Upper Yard.